Bromo Malang Batu Tour Package 3 Days 2 Nights - The beauty of East Java nature can not be a doubt, all kinds of tours in the land of eastern Java from marine tourism, mountain tourism secret until the zoo was able to hypnotize the tourists both local and foreign. 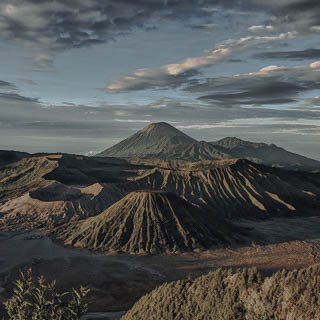 Travel packages Bromo duration of 3 days 2 nights combined with the attraction Batu Malang attracted many travelers from various parts of the world. Bromo accommodation or in Batu Malang can be selected according to the request because sometimes a tourist choosing - choosing to sleep well the affairs of the economy and eksekutiv. But you do not worry because all the needs perku tour will we prepare to order kacuali personal needs. Pick up by our driver and guide from Surabaya or a place that you have agreed with our travel party to get to the hotel in Bromo Travel dareah. The trip will take about 3 s / d 4 hours depending on the situation highways. Arriving at the hotel, you are welcome to check in and free program (free to enjoy the fresh air in the hotel area) hotel in bromo there Cemara Indah, Bromo Permai, Lava View and other hotels where strategically overlooking scenic live view to Bromo. This course terhgantung with demand. You can dine at the nearby restoren and free. But still maintain a healthy body for the tour tomorrow morning. Bromo Tour performed at 3 am, the tour participants were woken up by a hotel guard and guide us to prepare for the tour. All equipment to prevent the cold should be prepared for the sake of convenience when browsing Mount Bromo. Bromo Tour starts, you will be taken to a place called Mount Penenjakan1 highest is the place to see sunrise views. After that adventure berjalnut to the crater of Bromo. You will be guided by our tour guide to see first hand the lip of the crater of Mount Bromo selamaini you only see in the photo only. Then the journey continues towards the Mount Savana Teletubies Park. The place is very green like a carpet that was held. After that, head to the Whispering Sands, places like expanse of desert in the Middle East. After the Tour Bromo finished, you go back to the jeep headed to the hotel for breakfast and pack - pack once checked out of the hotel to continue the journey towards the Waterfall Coban Rondo Tourism. Once satisfied, we headed to Kota Batu Malang and we did check in at the hotel which has been agreed upon by the parties of our last tour and dinner free program. After dinner we went on tour to BNS (Batu Night Spectacular) is a night tour in Batu Malang. BNS finished we headed back to the hotel to rest. Day 3 Bromo Malang Travel Packages hereinafter Petik Apel - Selecta - JatimPark2 - Transit Surabaya. Breakfast finished immediately check out the hotel for exploring attractions in Batu Malang. Immediately packed up to go to Pick Apples tour. You can eat apples typical of this stone directly picking apples from the tree. Apples finished eating we headed to the flower garden Selecta. Diverse and colorful flowers in the flower garden. After completion of staring at a flower we headed to Java Park2. You can explore the wildlife museum tarkenal in East Java. Once finished we headed to the center of souvenirs Batu Malang then immediately we headed to Surabaya airport / Malang or place your last visit. However, on the way we stopped by kesebuah restaurant for lunch and a short break. Program Bromo Malang Tour Package Tour 3 Days 2 Nights finished.